The picture on the box shows the scene at the park in the 50's/60's, but what would that same scene look like nowadays? Youngsters having fun, for sure, but how? 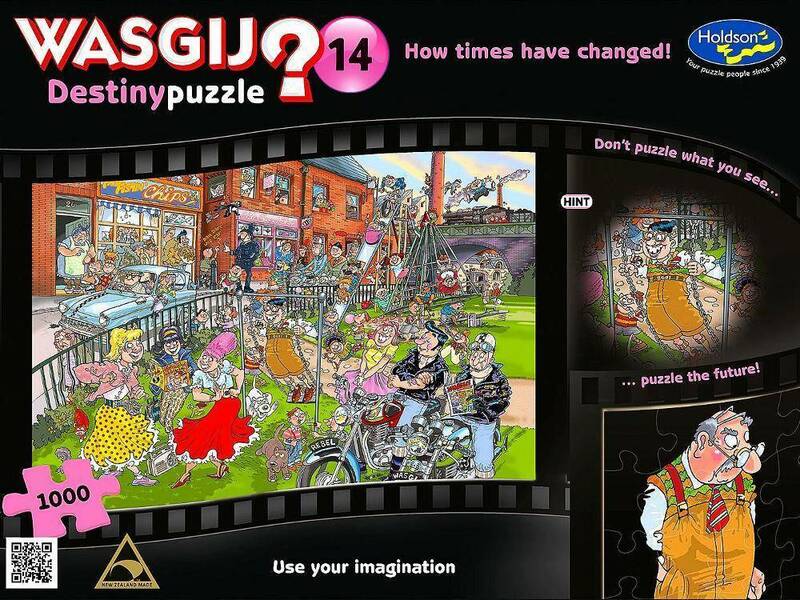 Would the shops still be trading, and what might have become of some of the young people shown on the box image? 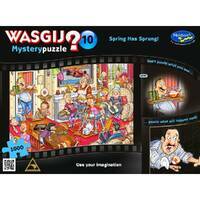 Use your imagination, and the clues provided on the box, to piece together what the scene at the playground might look like now. 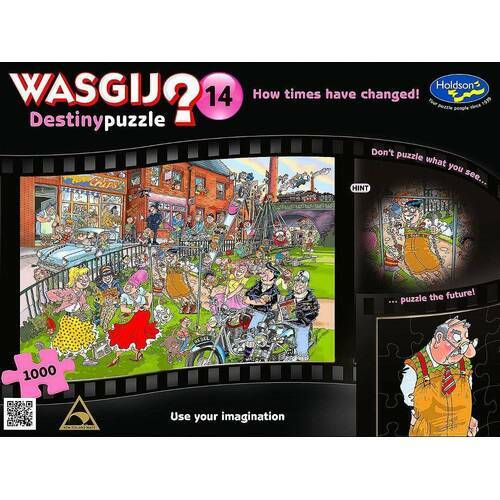 Wasgij Destiny is the time-travelling, puzzling concept where puzzlers have to use their imagination to piece together what the image printed on the box will look like in its future.